Allow Us to Come to You! Rather than you coming to us, we can come to you! Kippure Outdoor Education Centre’s team building programmes can be brought to your school. Team building activities are both educational and fun, and are an ideal way to reward students for their hard work. They can equally be great for integrating a new set of classmates and encouraging them to form bonds. Perhaps you have been looking into team building exercises but would prefer to avoid the time and costs of travel? Well, we could just have a solution for you! As one of Ireland’s most respected and experienced providers of educational activities and team building events, you may be pleased to learn that we don’t work solely out of Kippure Estate – our team building exercises can outreach into your school. We can ‘transport’ a number of Kippure Outdoor Education Centre activities, both indoor and outdoors, and they can all take place either within your school’s grounds or in a local park. Icebreakers –An ice breaker session is a light-hearted way to get people moving around, it’s active and it helps them to loosen up, feel energised and get involved right from the start. 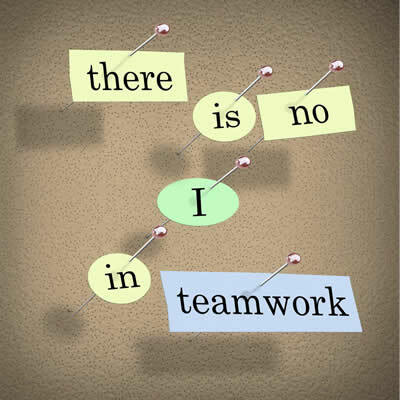 Teambuilding Tasks – Learning is most effective when it involves active participation. We offer a number of activities which encourage interaction with one another and promote teamwork. Participants in our team building programmes find the experience enjoyable as well as educational. Orienteering ­ A course will be set up in advance of the group’s arrival. All the students need is a sense of adventure and a pair of trainers or walking shoes. It’s a great sport for runners and walkers who want to improve their navigation skills or for anyone with a competitive spirit and a desire to win! Treasure Hunt – The course is set up in advance of the group’s arrival. It can be run in and around the school buildings, including the sports grounds. Archery – Students can grab a bow and arrow and become a real-life Robin Hood. The Bottle Rocket Challenge – Teams are given a water-powered bottle rocket kit and other props. They tap into their ingenuity and knowledge of aerodynamics to try and build the rocket that will reach the highest point in the sky. The Great Egg Drop – Teams are given a host of materials to create a contraption that will save the egg’s life when dropped from a height! Your group will be divided into small teams, where each member will take on a role to complete an interactive and exciting team exercise. Indoor Energiser is suitable for all physical abilities, ages and skills and we can cater to any size group. These activities will take place in your school hall or sports hall, not in the classroom. Giants, Witches, Elves – Two teams face off to collectively play a quirky version of paper, scissors and stones. Puzzle Place – Each team competes to be the first to complete a puzzle. The catch is that players must trade with other teams to collect the puzzle pieces they need. This dynamic and entertaining team event involves opponents both cooperating and competing against one another. Locator – Racing against the clock, teams have to locate twenty items in and around the school hall. At first seemingly impossible, effective teams will succeed by using lateral thinking. Pole Position – In this terrific quickfire task, hosted by Kippure Estate’s motivation staff, participants must quickly and correctly answer a series of skill-testing questions. We can tailor quiz questions so they relate to a theme of your choice, such as your school’s sports or musical interests. The triumphant team will soar to ‘Pole Position’. Our offsite team building at your school events are all led by Kippure Estate’s experienced and qualified staff and your day can be tailored to your exact requirements. We use the same instructors and equipment that we do on the Estate – but in the convenience of your school grounds, saving you both the time and money associated with travel. If you would like to host a teambuilding event for your staff, our experienced team development facilitators can come directly to you! Whether you’re looking for a half-day or full-day of team building activities, a corporate social responsibility event or some team activities to break up your conference schedule, we’d be thrilled to meet your needs! Visit www.teambuildingireland.com to learn more about our team building event options. Kippure Estate’s trained leaders start by facilitating icebreakers and building a team atmosphere for your entire group. Teams complete a series of Indoor Energiser team building games. Each activity ranges from 10 to 30 minutes long. Teams will be briefed and provided with the necessary equipment and task sheets before each activity. The entire group will reassemble to complete a co-operative, final challenge. The team with the highest score, after completing all team activities, will be named the winner.